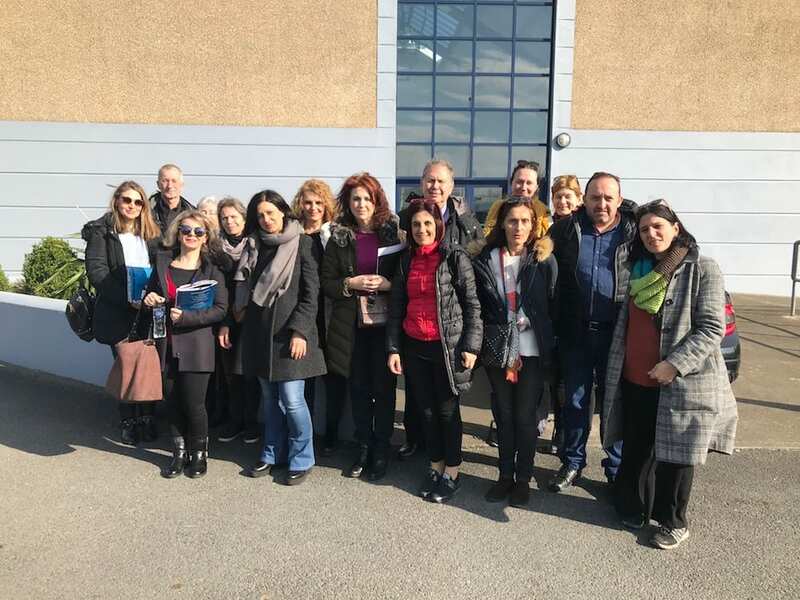 The Limerick and Clare Education and Training Board hosted a number of teachers from other European Countries as part of the European Erasmus Programme. 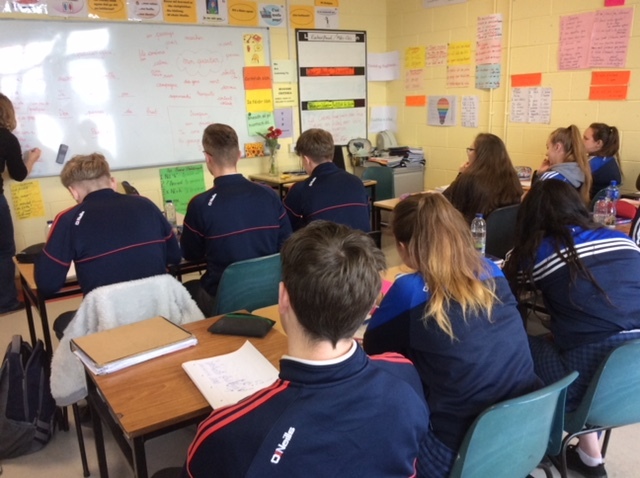 As part of the teachers’ visit, they were invited to Desmond College to get an insight into the positive atmosphere and the excellent teaching and learning environment that our students and staff are part of. 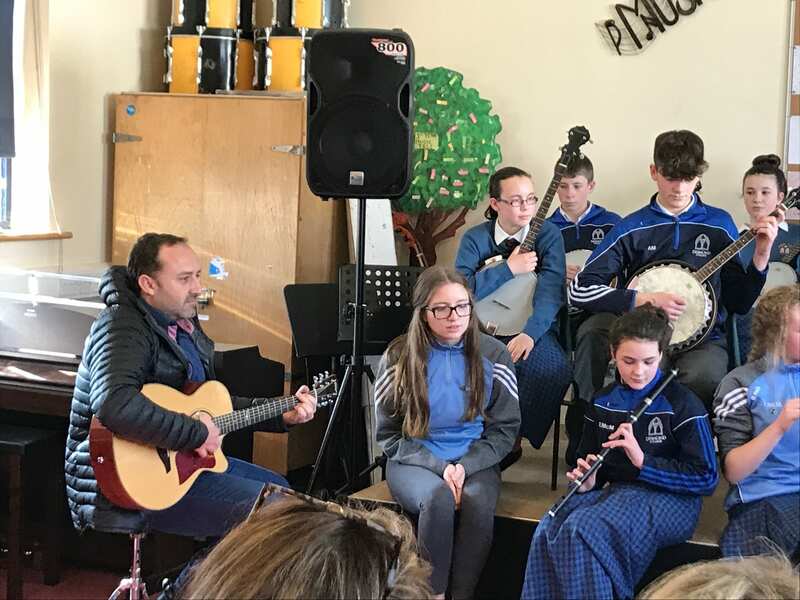 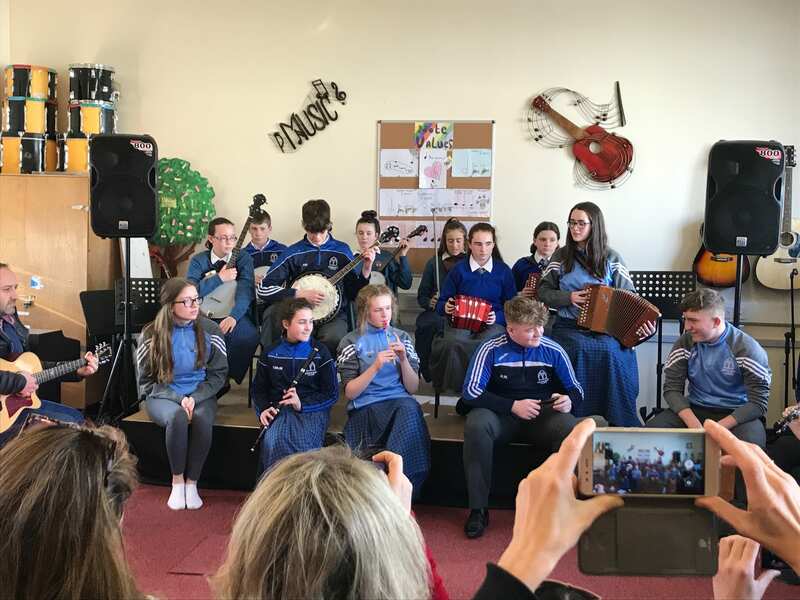 Mr José Goterris Carratalá (music teacher from Spain) playing some Irish trad music with students from Desmond College on his visit to the school as part of a European Erasmus Programme. 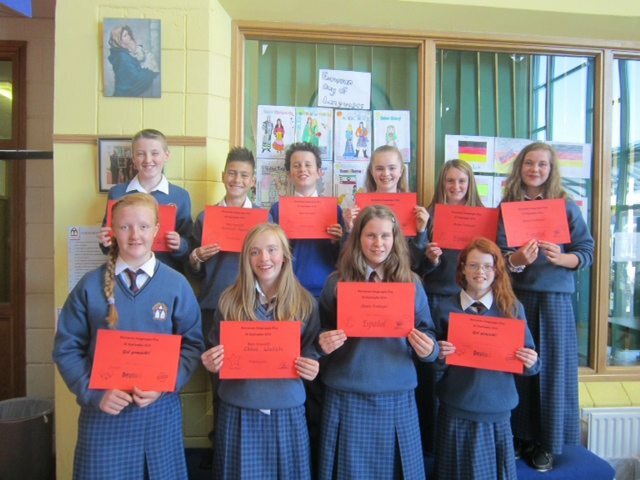 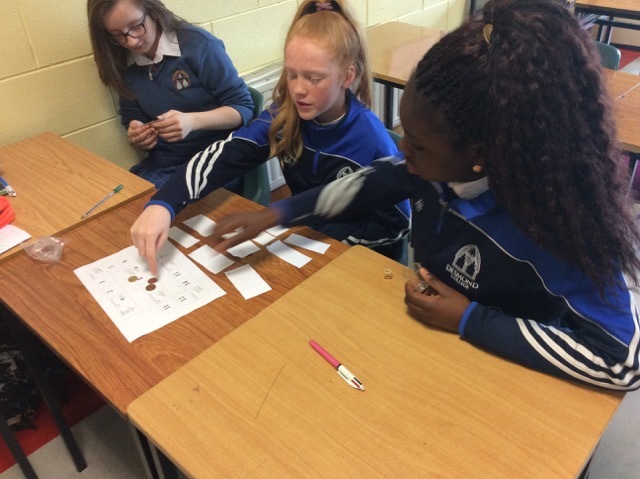 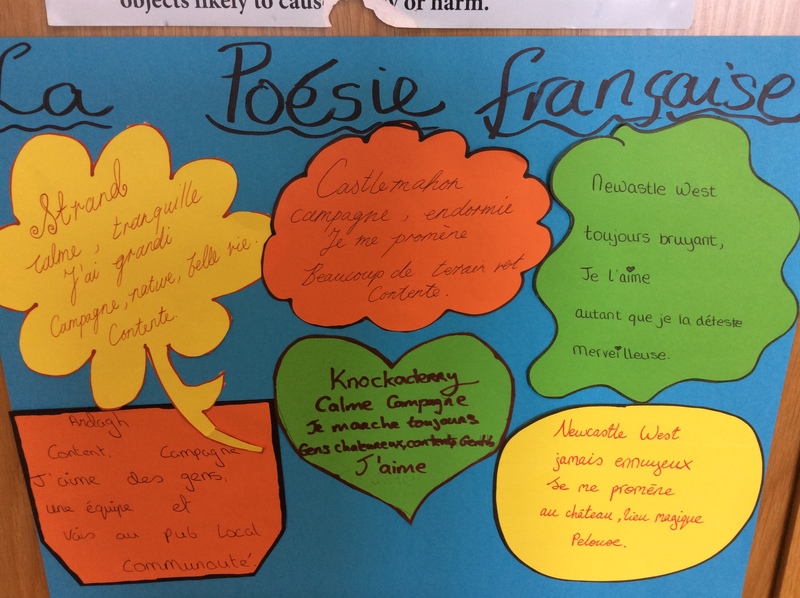 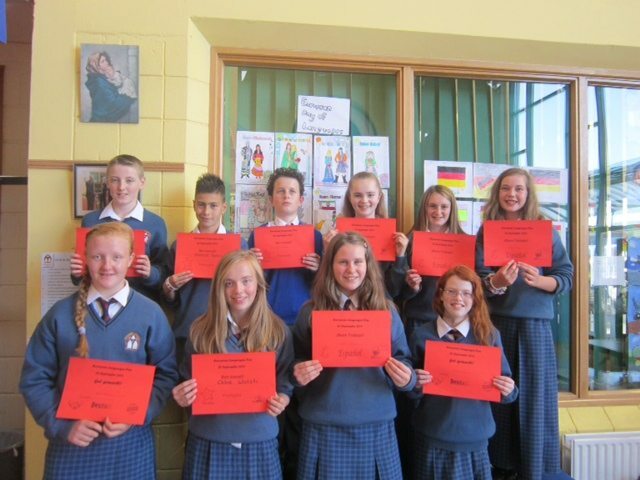 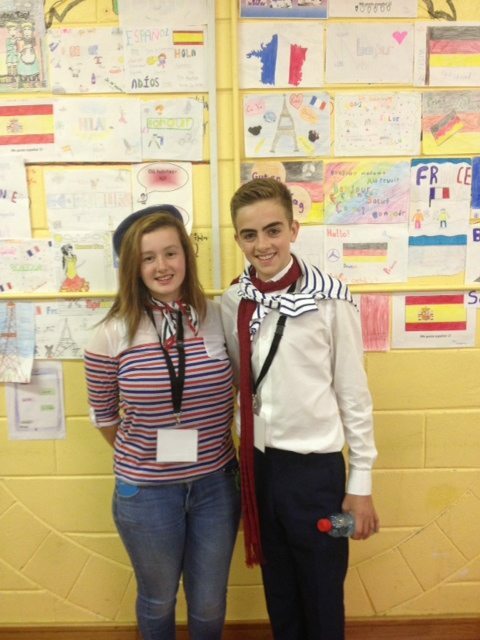 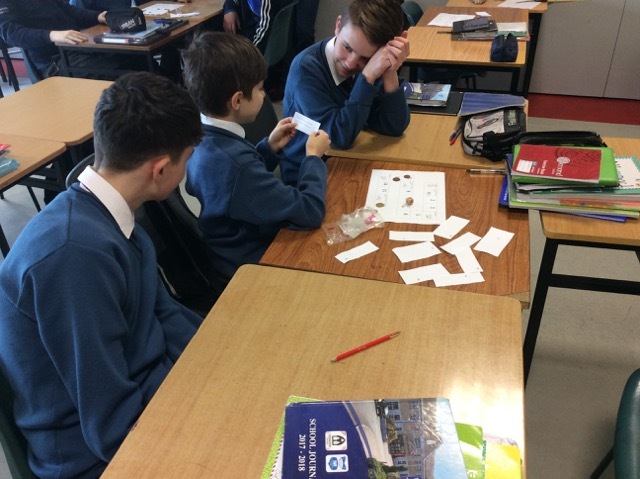 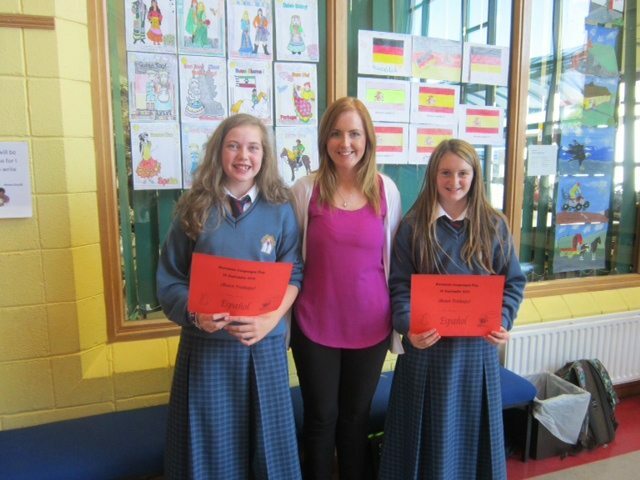 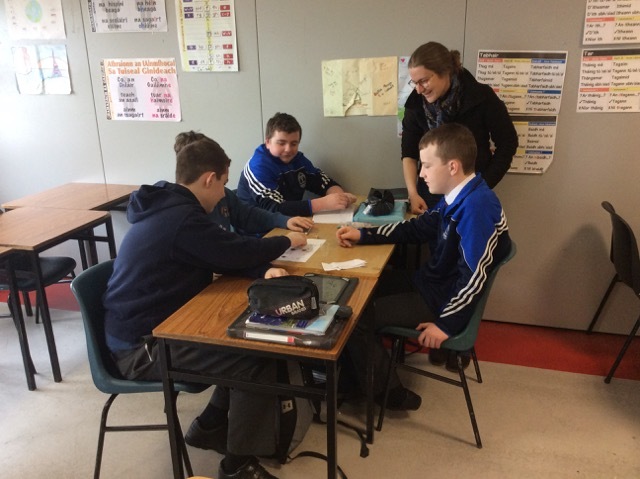 5th Year students participated in a French poetry writing workshop, and wrote poems on the thème du jour – “Mon Quartier”. 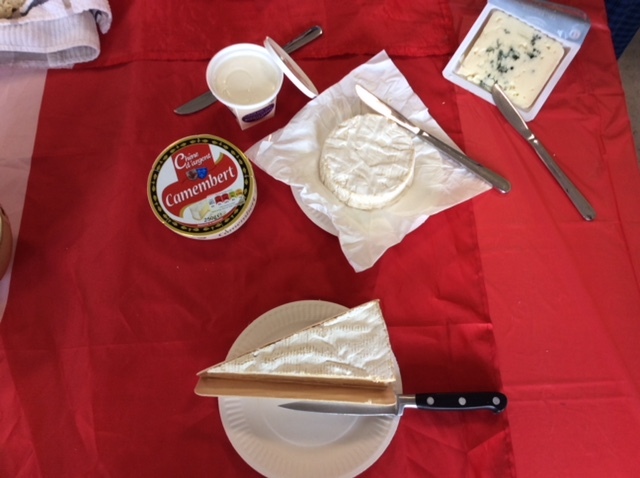 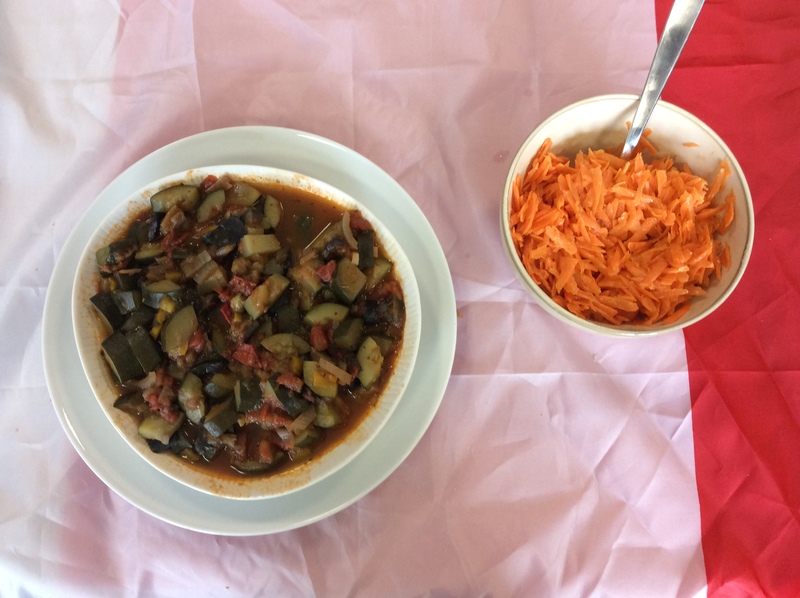 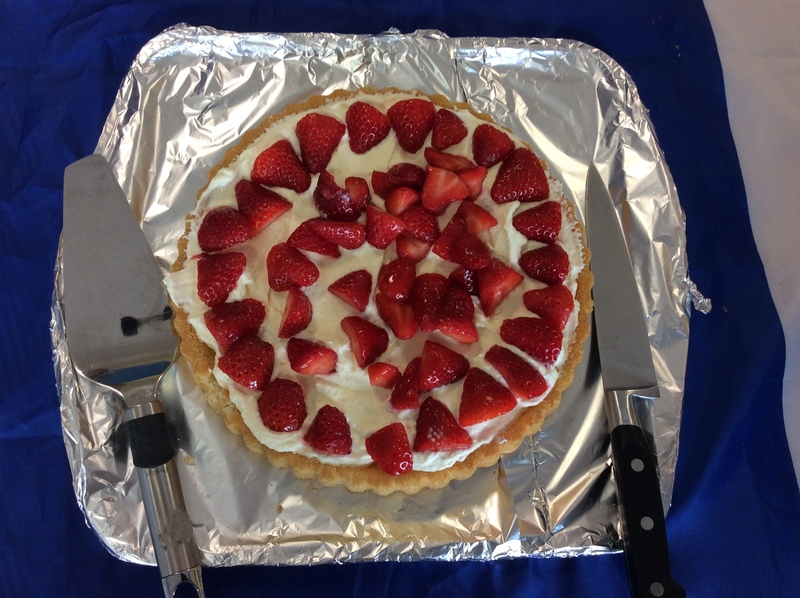 French dinner dégustation – Students tasted different types of French cheese, a traditional ratatouille dish, and une tarte aux fraises. 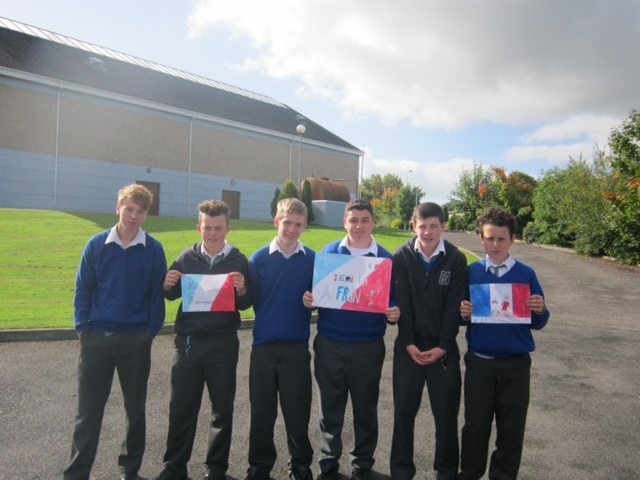 First Year students participating in French Culture game this week! 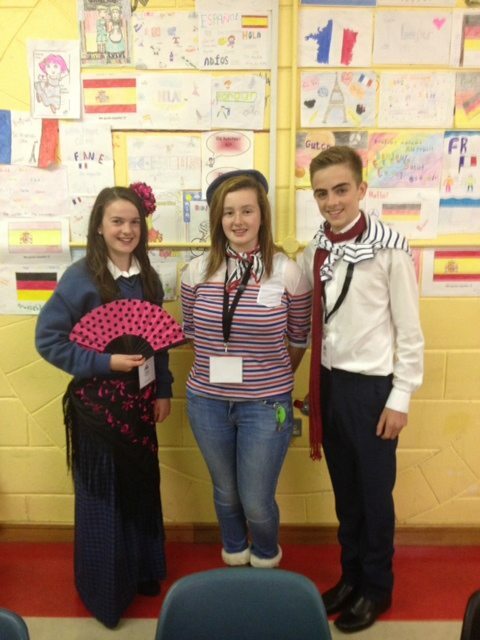 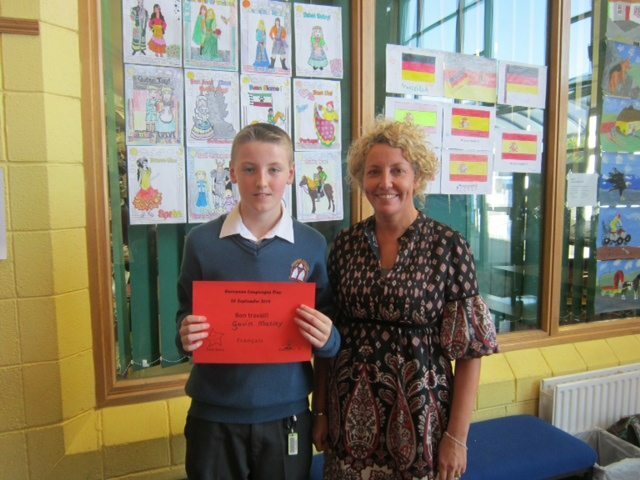 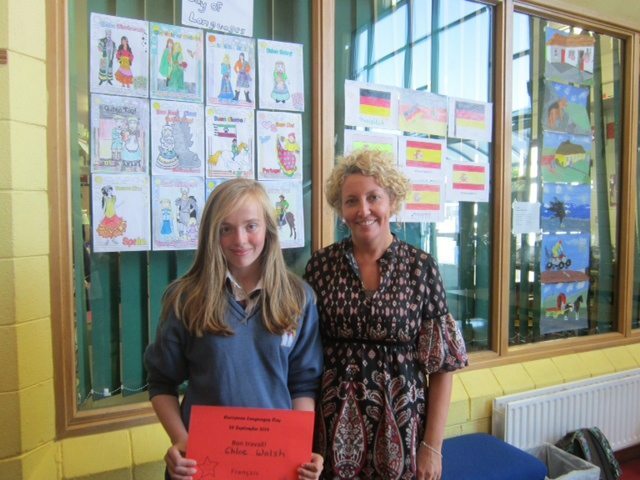 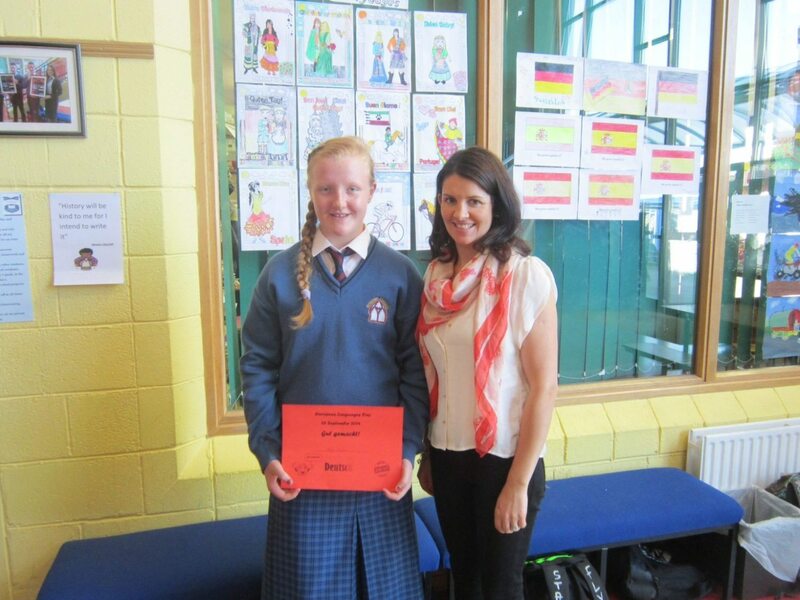 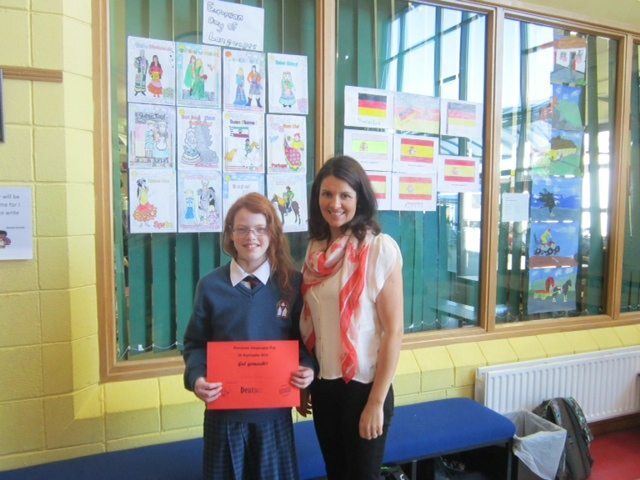 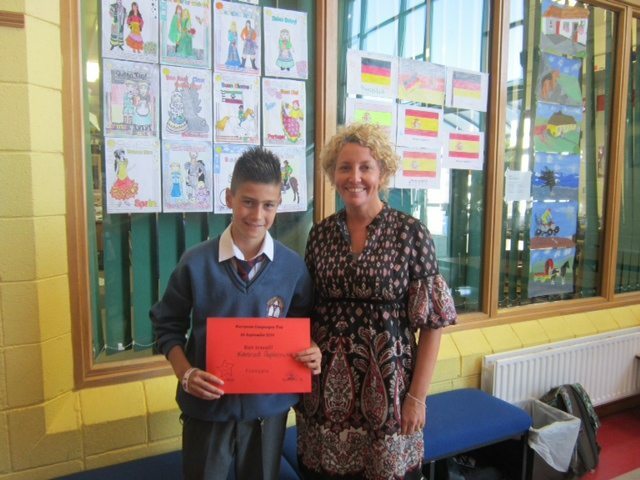 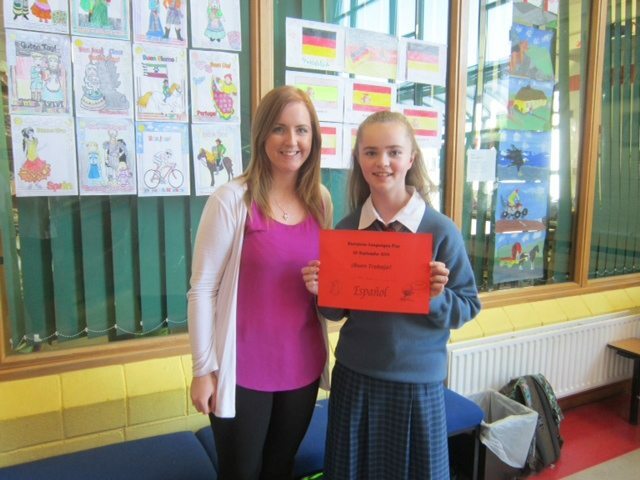 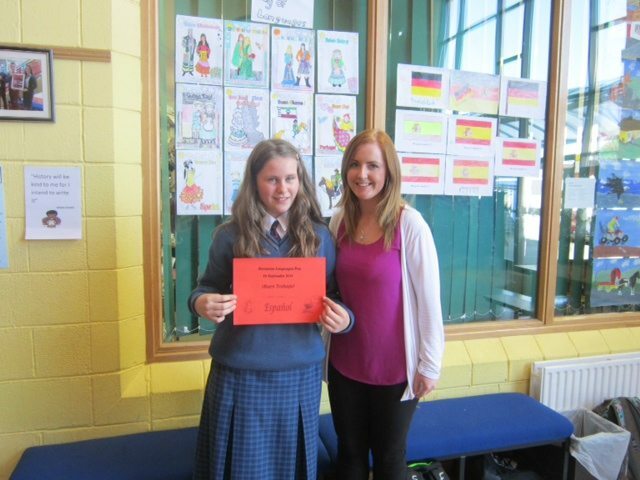 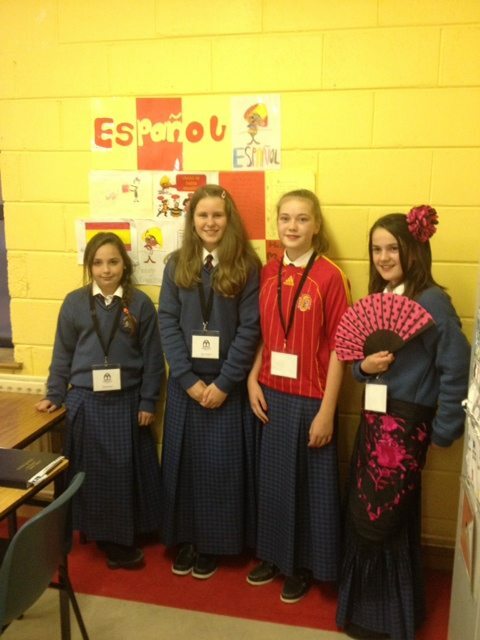 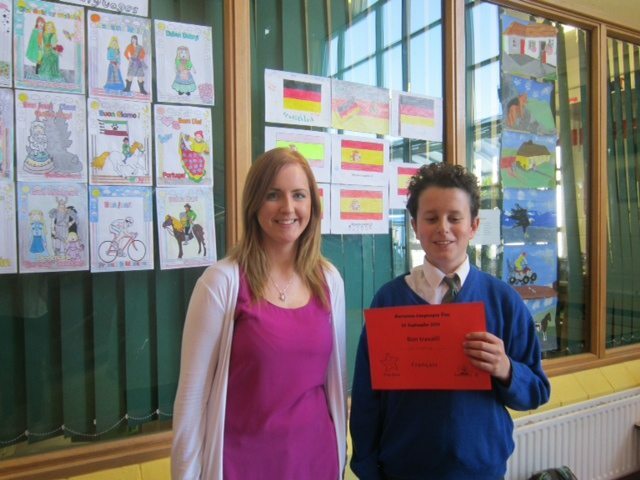 Students were challenged to design a poster to promote awareness of language learning for European language day. 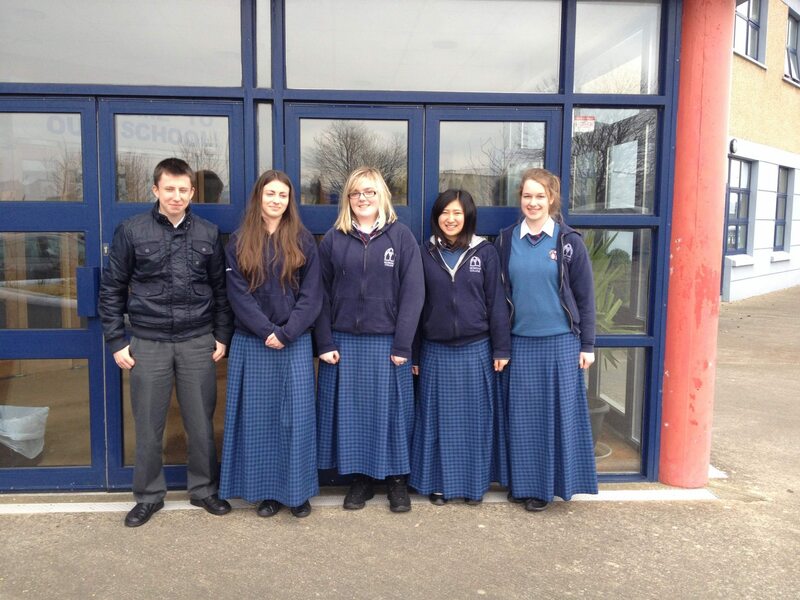 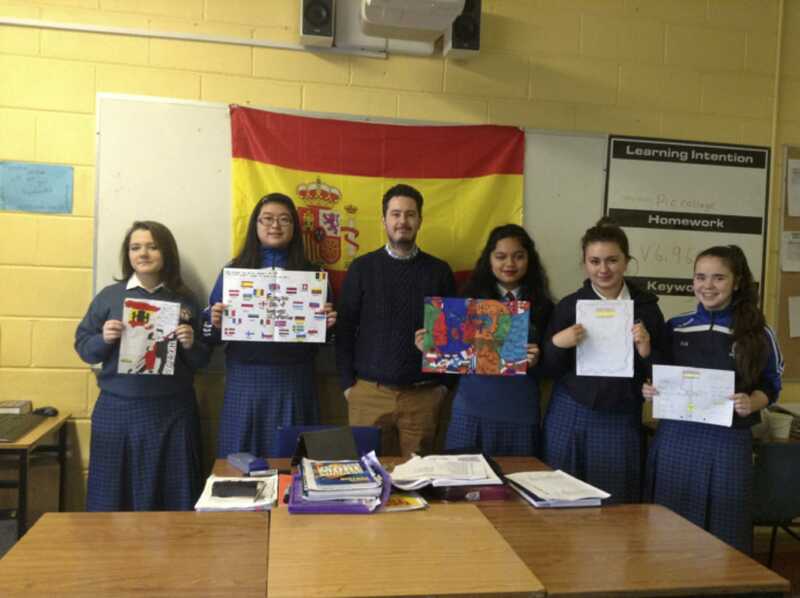 Mr Russell with his Spanish students, Chloe Ahern, Joanne Lai, Shane Baguio, Megan Roma and Ciara Brouder after completing their posters. 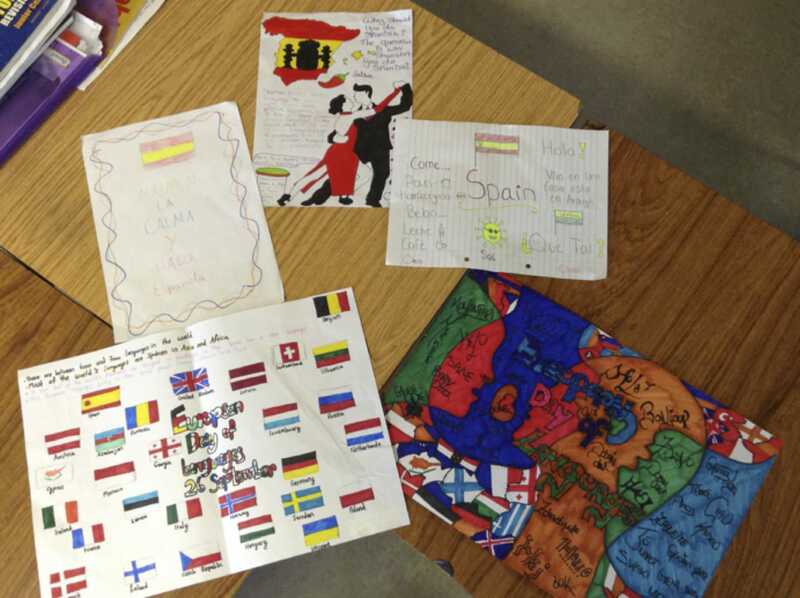 A selection of the posters designed by the Second Year Spanish students. 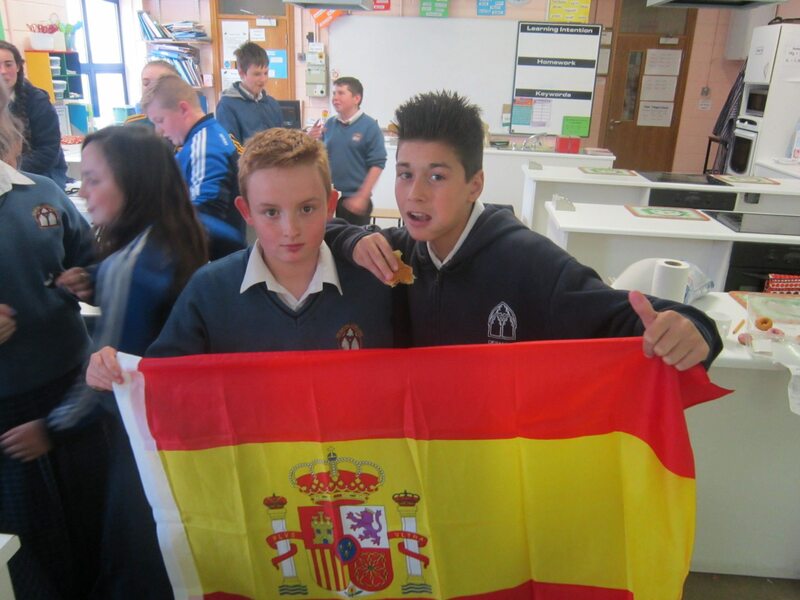 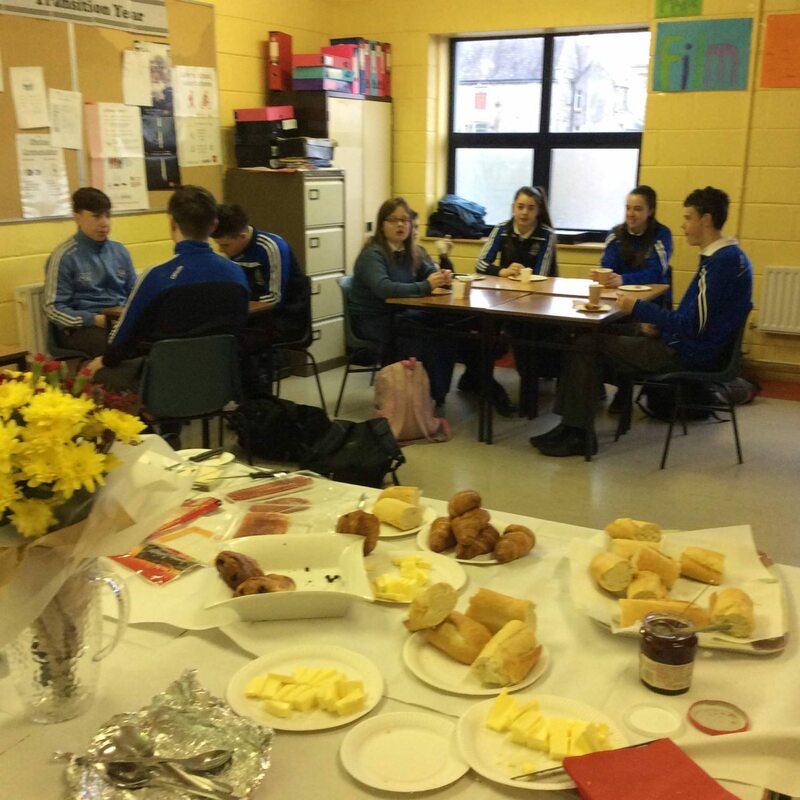 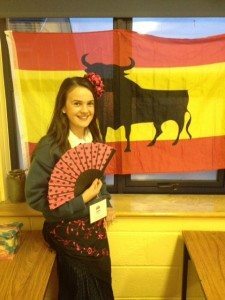 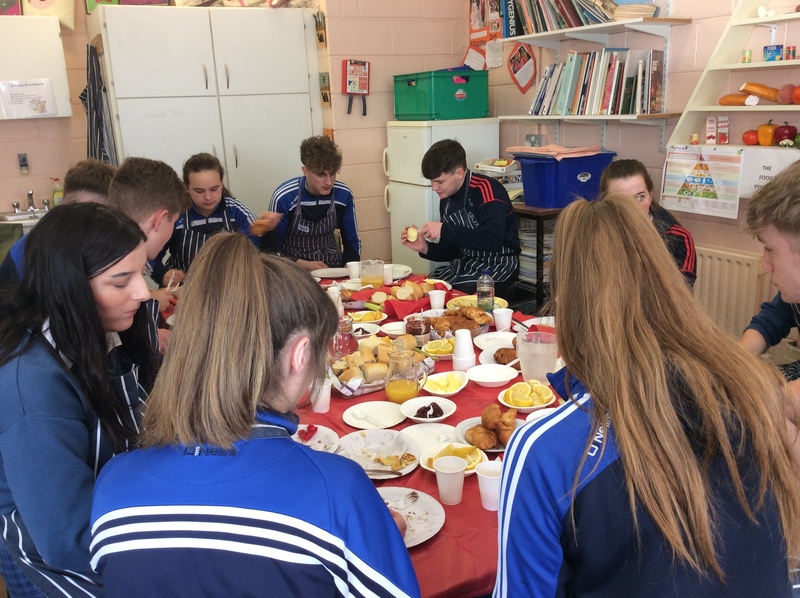 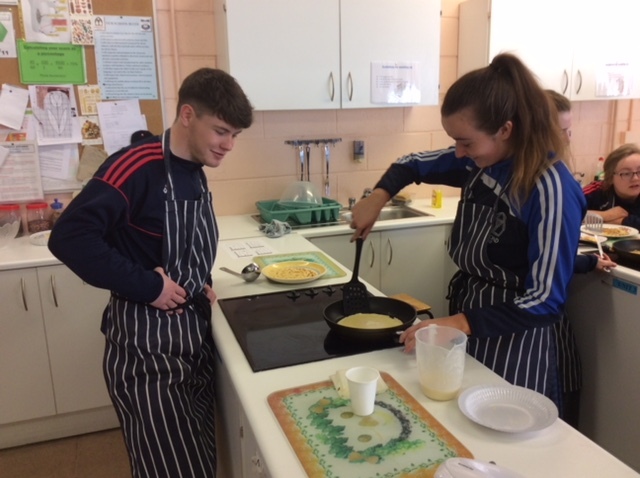 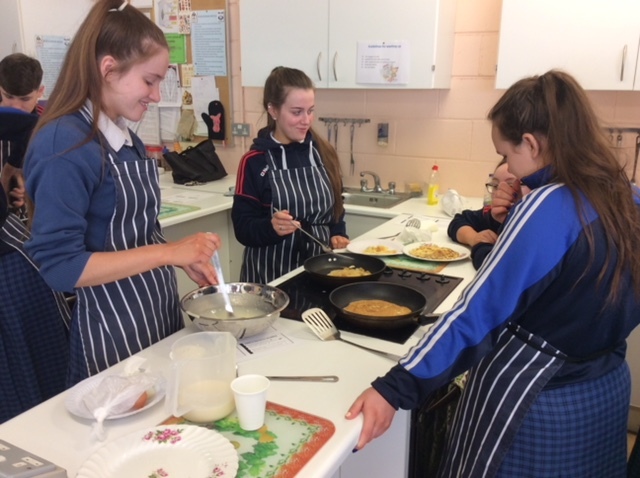 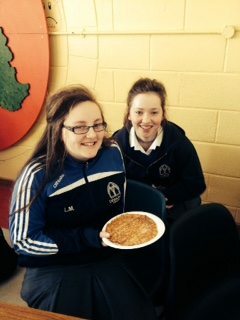 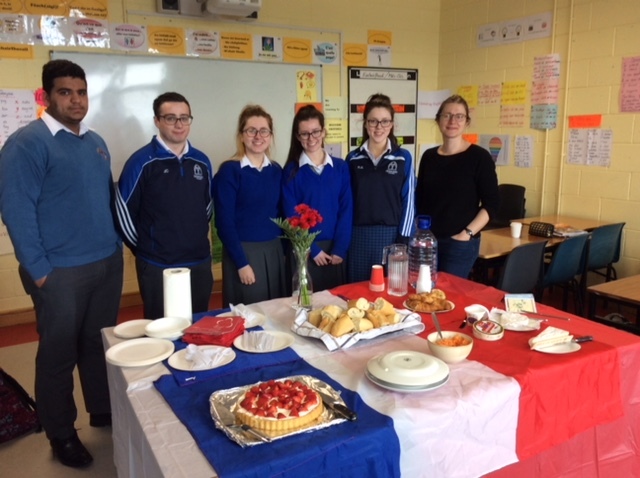 Transition year students from Desmond College enjoying a Spanish breakfast as part of their ‘Introduction to Spanish language and culture’ course. 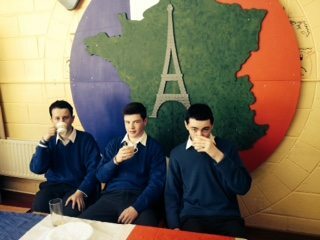 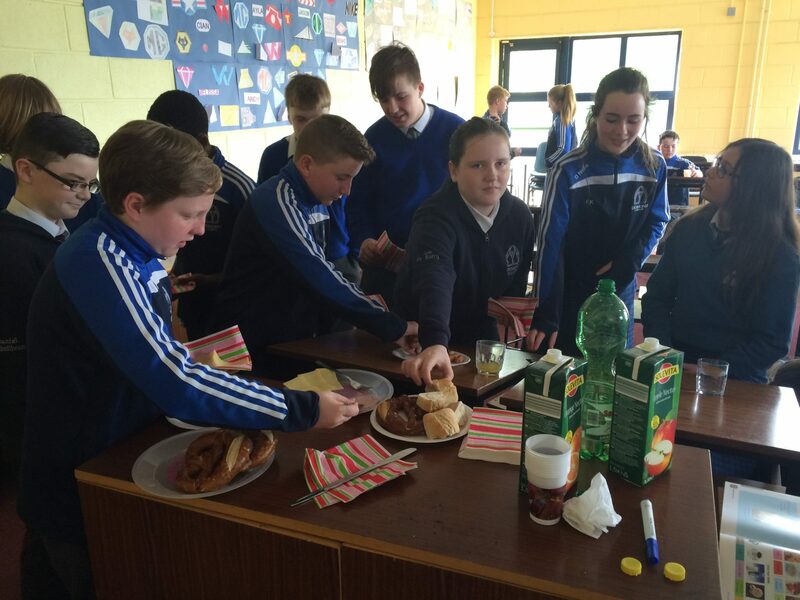 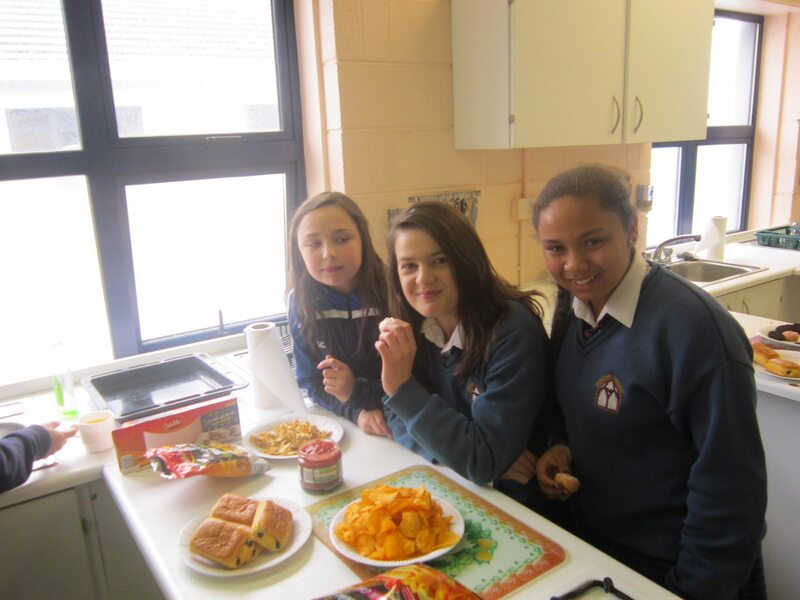 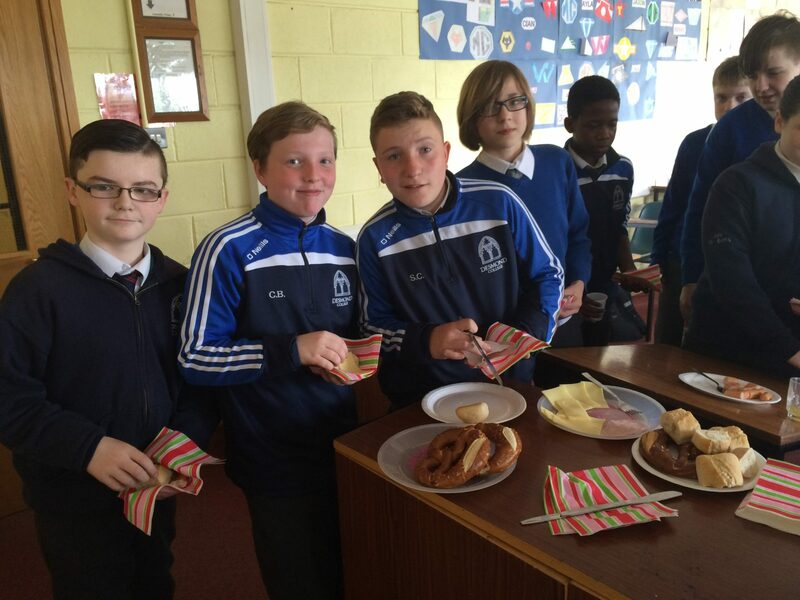 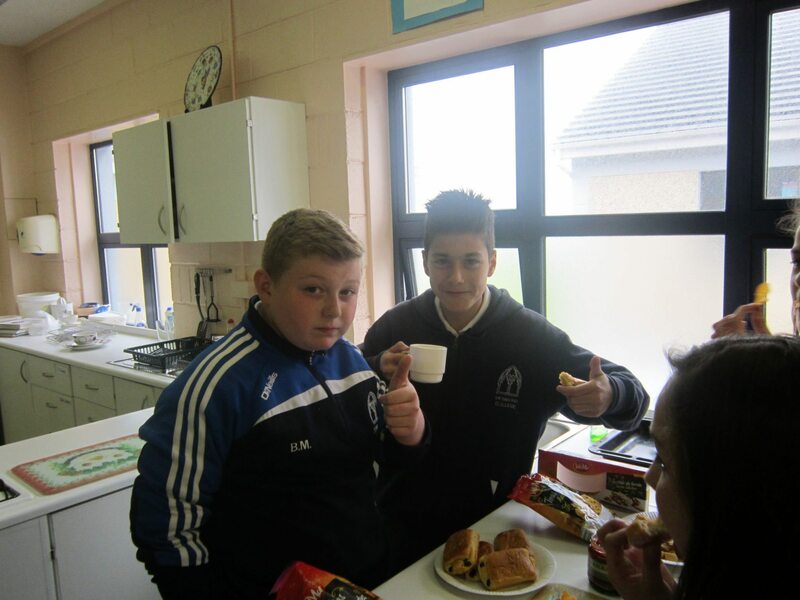 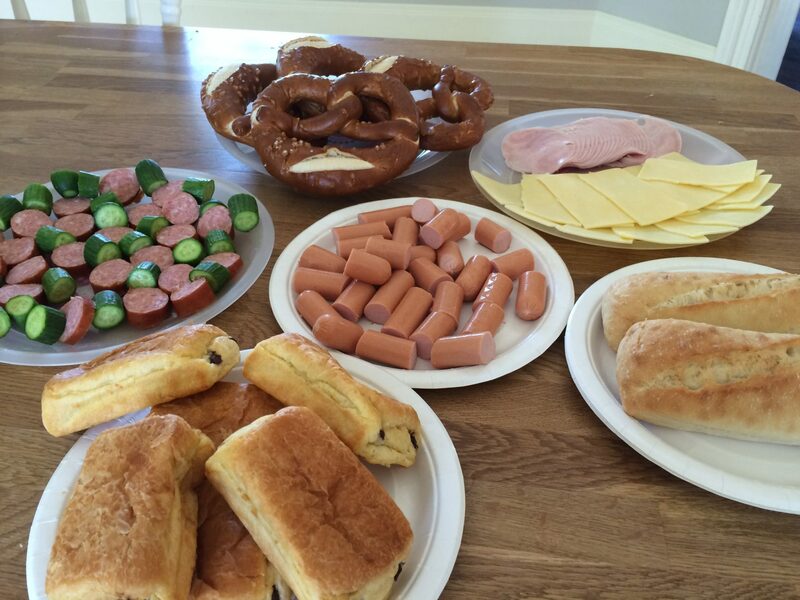 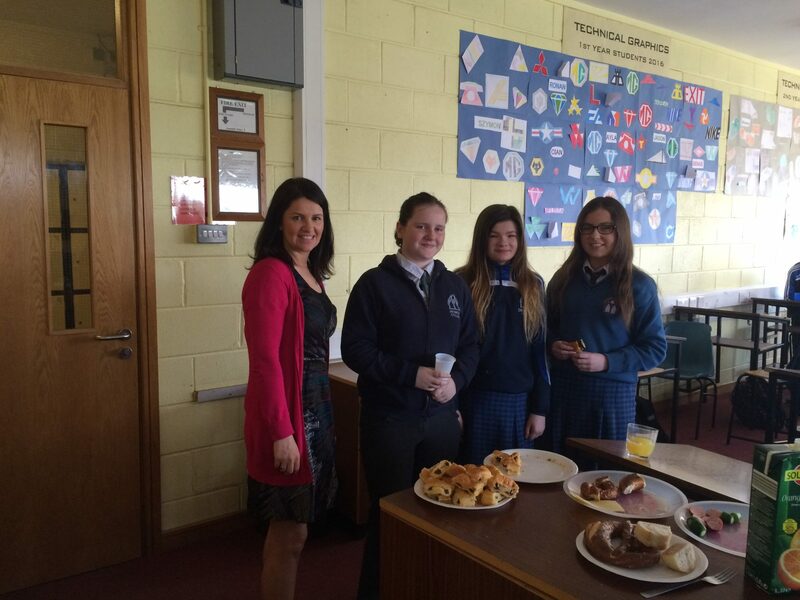 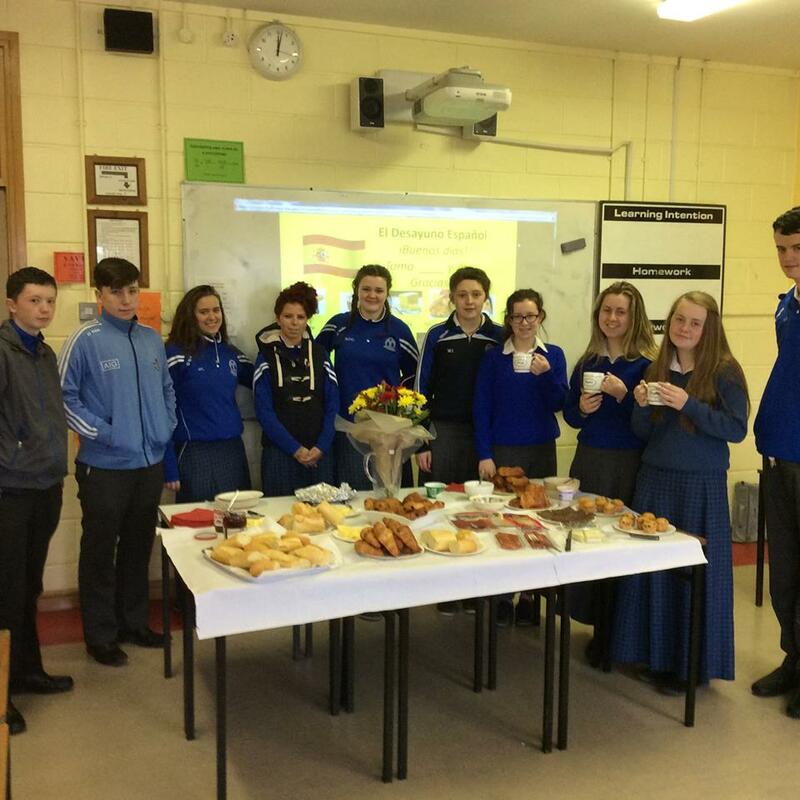 Our junior cycle students enjoyed our annual Petit Déjeuner on April 30th. 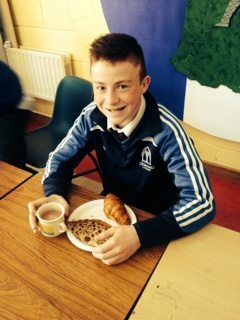 Croissants & crêpes disappeared faster than the speed of light! 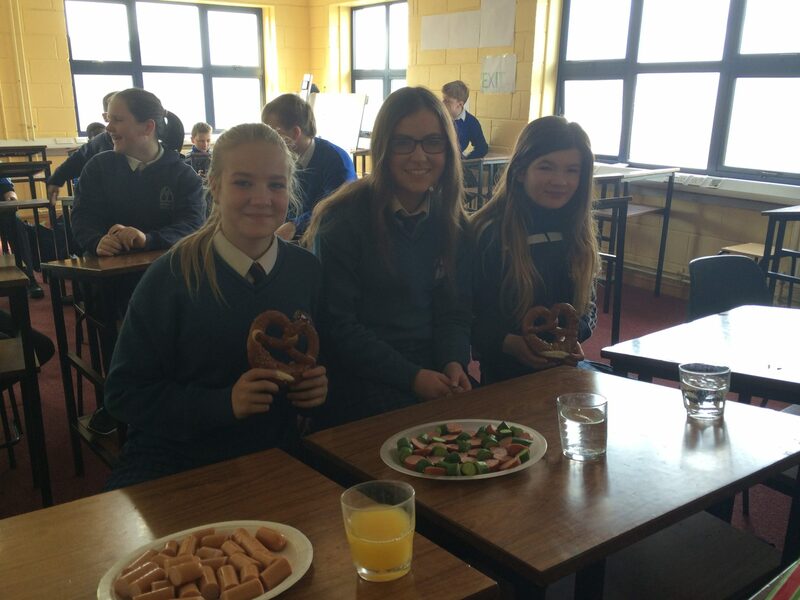 5th Year German students enjoy trip to Listowel cinema to watch German film. 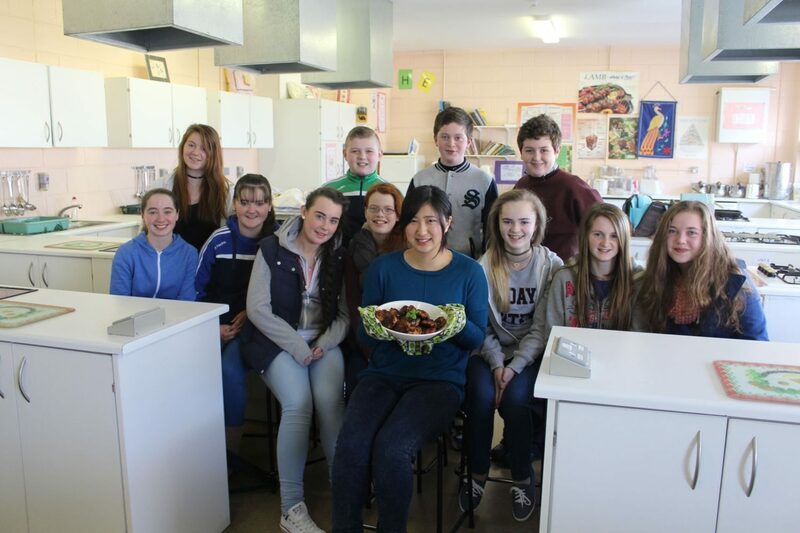 Risa Sato (exchange student from Sendai in North East Japan) brings some Japanese culture to Desmond College. 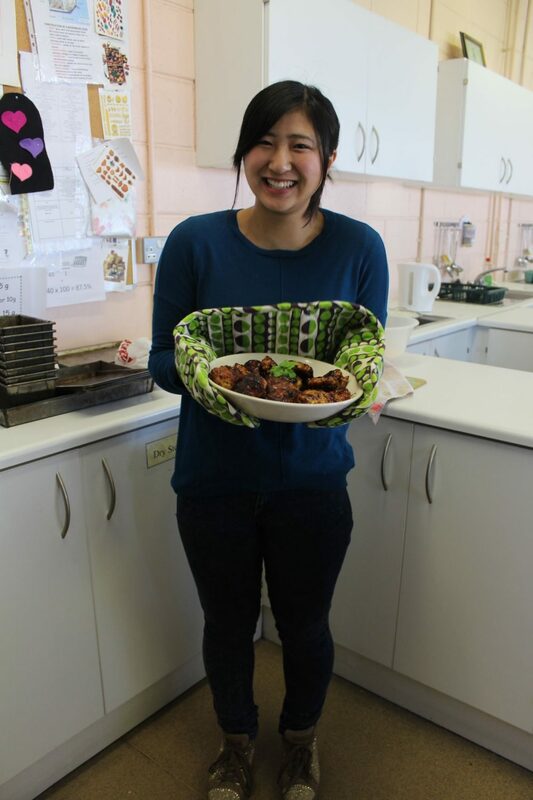 Risa cooked some Japanese dishes for first year students with the help of her teacher Ms Edel Boohan. 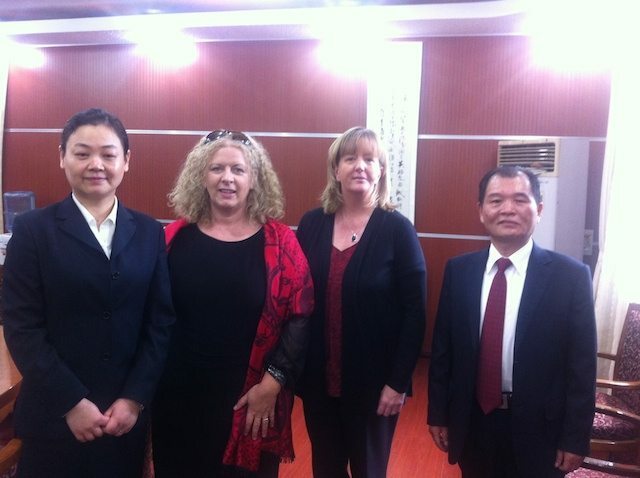 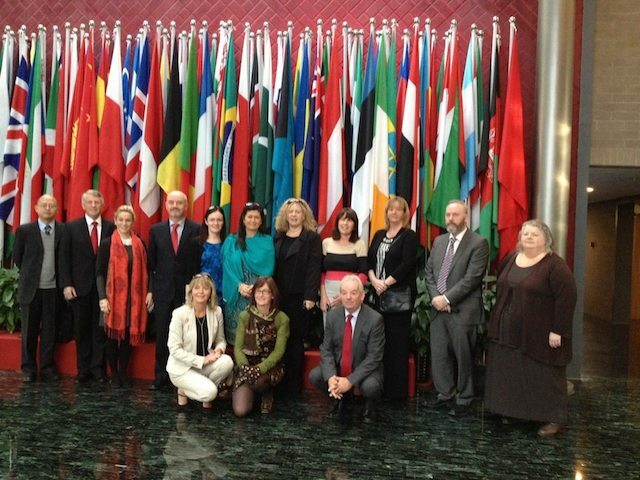 Vourneen Gavin Barry, Principal of Desmond College, Newcastle West and Norma O’Brien, Principal of Coláiste Mhuire, Askeaton, travelled to China during the midterm break as part of an educational delegation organised by the Confucius Institute in UCC. 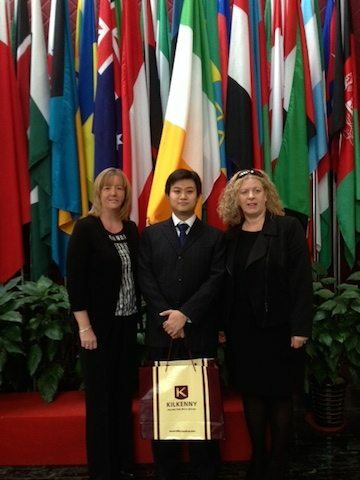 The delegation visited Beijing & Shanghai, visiting sights such as the Great Wall of China and Tiananmen Square and experiencing Chinese culture first-hand. 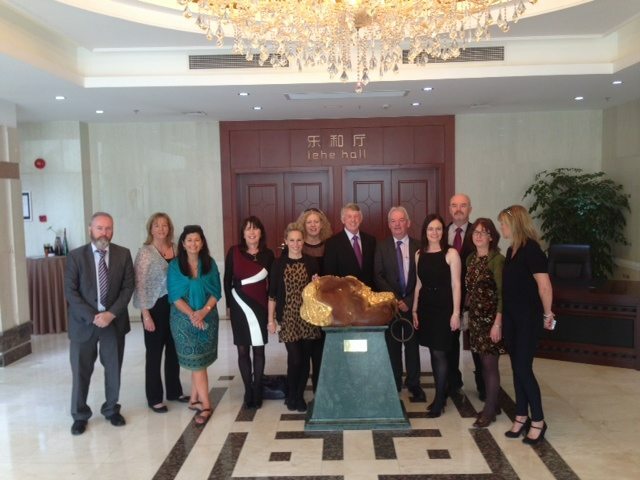 The delegation visited the Confucius Headquarters in Shanghai and spent time at Shanghai University, touring the campus and meeting with a group of Irish students studying Business, Arts & Chinese, from UCC. 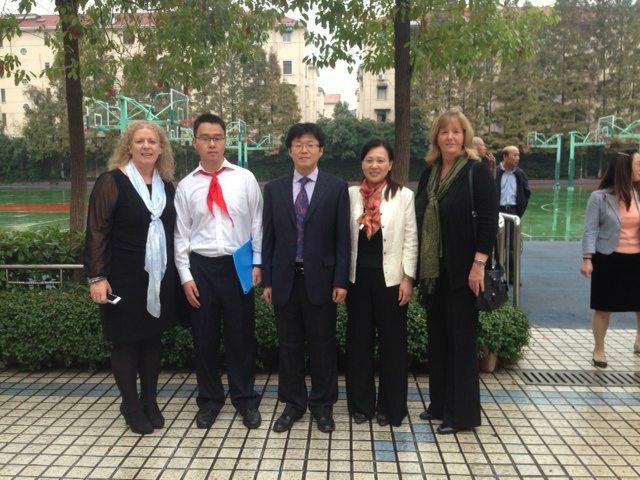 The delegation also visited a number of schools and met with Minister for Education & Skills, Jan O’Sullivan at Shibei Junior High School in Shanghai. 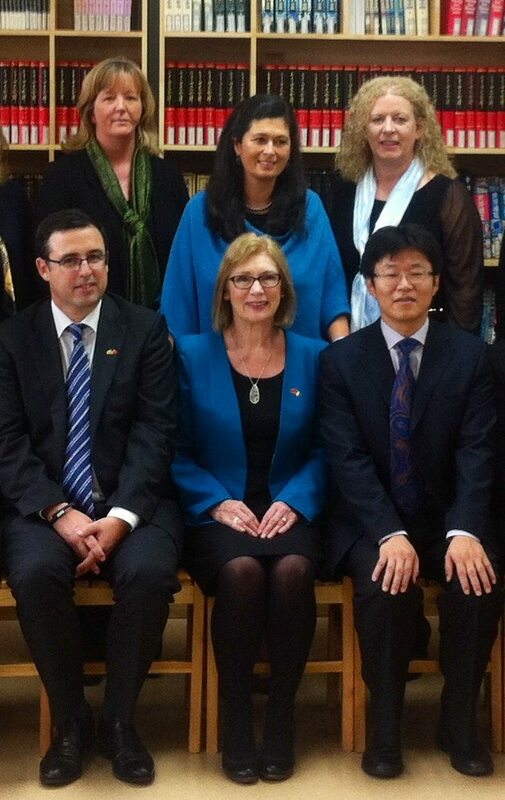 Minister O’Sullivan spoke of the introduction of a Short Course on Chinese Language & Culture in the new Junior Cycle Student Award and both Coláiste Mhuire and Desmond College intend to continue their collaboration with the Confucius Institute in UCC, in order to provide this Short Course to incoming 1st years.